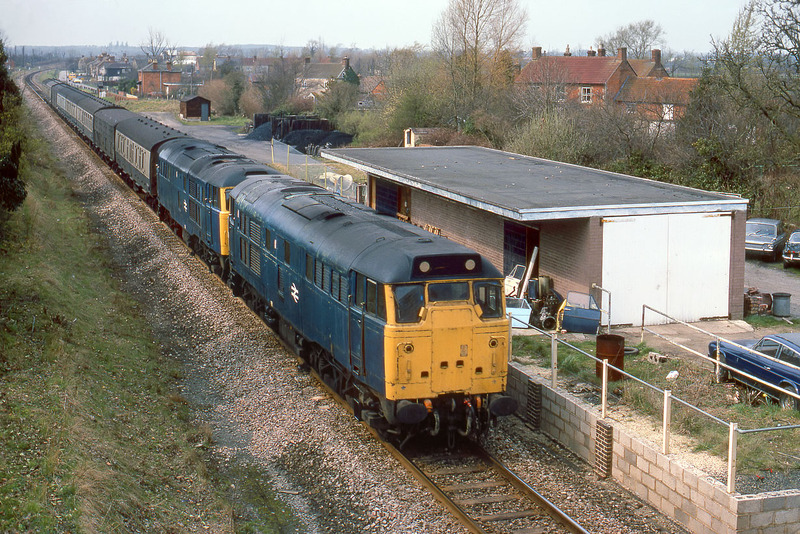 31259 & 31117 pass the site of Purton station on 4 April 1982 with the 3A16 Gloucester to Old Oak Common empty vans. There is still some evidence of the old station, with a GWR corrugated iron lamp hut visible in the middle distance. It is interesting to note that all the vehicles visible in this picture were manufactured in Britain. The Class 31s (Loughborough), Hillman Imp (Linwood), Jaguar XJ6 (Coventry) & Reliant Scimitar (Tamworth). Unfortunately if such a scene was repeated today I don't think there would be many British products on view!